A plethora of factors are contributing to the rise of cloud-based enterprise resource planning, one of them being the integration of Internet-connected devices into factories. Installing electronics throughout manufacturing facilities means the enterprises in charge of those centers are going to have a lot of data to store and process. As opposed to using one system to collect the information, a second to analyze it and a third to present it in an intelligible manner to personnel, allowing a single solution to perform these actions is much more practical. Why aren't legacy or on-premise ERP systems capable of conducting the same activities as cloud-based solutions? "Scalability" is often a phrase associated with cloud computing, and for good reason. Not only can the software proprietor expand storage capacity to accommodate incoming information from devices and other sources, it can also access more computing resources to process that data and allow users to take advantage of a variety of features. 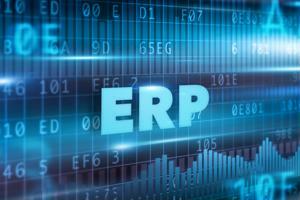 Bottom line: Cloud ERP solutions allow procurement officers to identify opportunities. According to Corey Rhodes, Amber Road's vice president of the Americas, failure to recognize instances in which new innovations or profits can be taken advantage of prevent companies from gaining competitive advantages. "Companies miss a lot of opportunities to innovate because they lack the agility to respond and execute when an opportunity presents itself," said Rhodes in a SupplyChainBrain video. "Sometimes they don't see an opportunity that is right there in front of them. One of the main reasons why manufacturers may not be quick to jump on cloud-based ERP technology is involves the investment they have put into on-premise solutions. TechTarget's Tony Kontzer referenced a Gartner survey of leaders at businesses generating between $10 million to $10 billion in annual revenue. Of the 30 percent who maintained ERP solutions will remain on-premise, almost all of them were working in the manufacturing sector.